Sri Lanka's Mercantile Shipping Company has revealed that it has six ships on order in an effort to rebuild its fleet after it sold off old vessels. 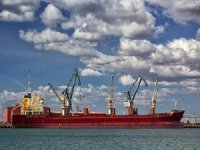 Sri Lanka's Mercantile Shipping Company has revealed that it has six ships on order in an effort to rebuild its fleet after it sold off old vessels. 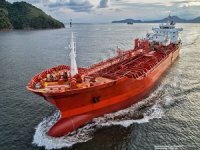 "Mercantile Shipping Company owning and operating a fleet of six multipurpose vessels, (has) an order book of a further six new buildings to join the fleet in the next year," a company statement said. It gave no further details of the new buildings. 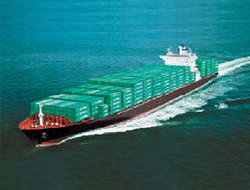 But the company had previously said that it had ordered two new cargo ships as part of efforts to renew its fleet. 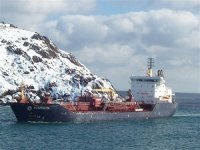 The firm said in May it had set up a fully-owned subsidiary called Mercantile Emerald Shipping to build two multipurpose cargo vessels in the Netherlands and borrow 16 million euro to finance their construction. It has entered into two loan agreements - one for each vessel - with Germany's Bremer Landesbank. The latest statement was issued to mark the arrival of the firm's vessel Mercs Mihintale in her home-port Colombo to carry out repairs and class-renewal at Colombo Dockyard after a four-year international charter. The vessel, built in Brazil in 1983, is a multipurpose ship of 12,835 dead weight tonnes. Thomas Kriwat, managing director of Mercantile Shipping Company, said that it was the first time the vessel arrived in Sri Lanka after her charter with Safmarine. 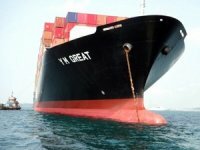 "The maintenance work will take approximately one month, after which the ship is bound to join our liner-trade between India and the Persian Gulf," he said in the statement. "Colombo Dockyard was chosen for this class-renewal due to their expertise and efficiency, especially when it comes to older vessels." A few weeks back Colombo Dockyard completed the repair of another fompany vessel, MV Mercs Ruhunu, after the vessel got damaged in an attack by Tamil Tigers off Kankesanturai (KKS) harbour in the northern Jaffna peninsula. Kriwat said that "the vessel was saved from a major catastrophe, due to the immediate intervention by the Sri Lanka Navy. 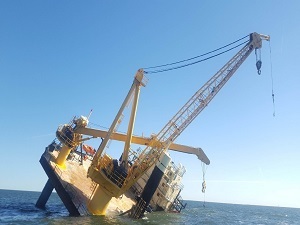 "After only 10 days of repairs the vessel was handed back to the government to continue her service from Colombo and Trincomalee to KKS, carrying essential goods like food items and building materials." Mercantile Shipping once owned a fleet of nine second-hand cargo ships that plied the coastal trade and kept Jaffna supplied with food and other cargo for many years when fighting between government forces and Tamil Tigers cut overland supply routes. But it has sold off most of the vessels owing to age and high cost of maintenance. 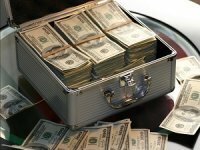 Sri Lankans own 51 percent of the firm's shares with the rest owned by German collaborators ? D.E.G. (the German finance company for investment in developing countries) of Koln and Reederi Eugen Friedrich of Bremen. 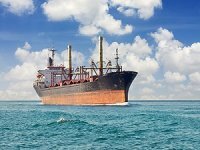 Sri Lanka's handful of ship owners had till now bought second-hand cargo ships because of the high cost of building new vessels. However, the global shipping market has collapsed with a flood of orders for new vessels made during the boom years expected to depress the market further when they are delivered and deployed on trade routes. Top global shipping lines are expected to cancel orders for new vessels and lay up existing ones because of the present oversupply made worse by the slowdown in world trade.